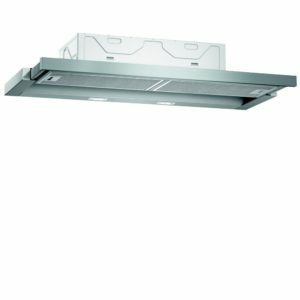 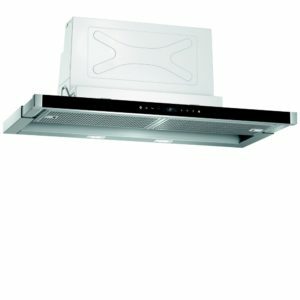 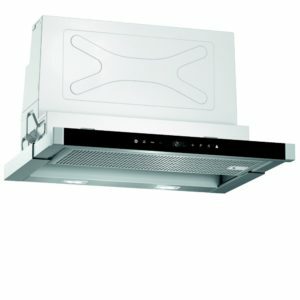 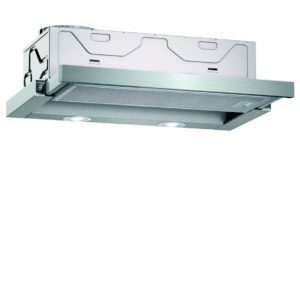 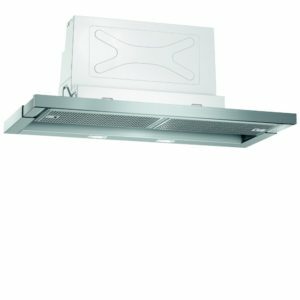 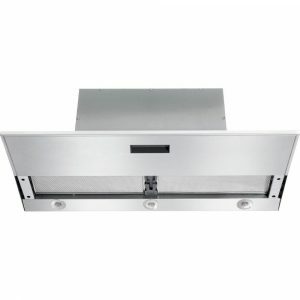 This brilliant 60 wide telescopic hood from Siemens offers superb extraction, and is ideal for a modern kitchen. 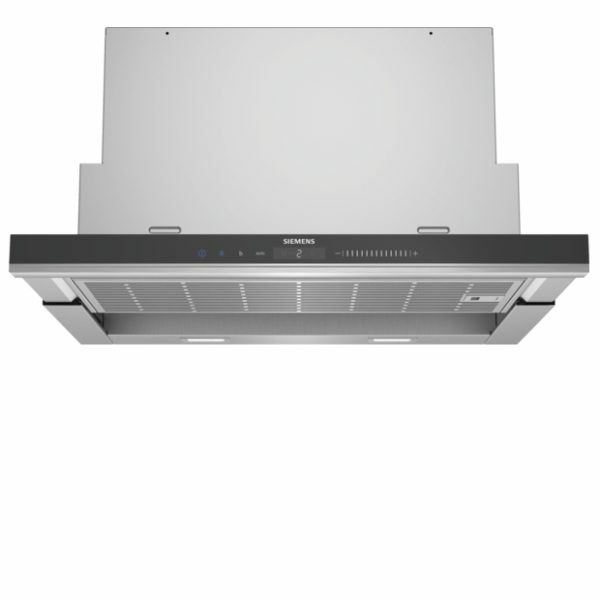 With three speed settings including two intensive modes, the LI69SA683B boasts an extraction rate of 930m³ per hour, easily able to draw away all the unwanted steam or cooking smells. 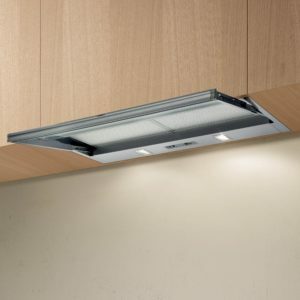 We love the dimmable Soft Lights, which are ideal when you don’t need the full brightness of the LEDs, and the handy filter saturation indicators make maintenance a breeze. 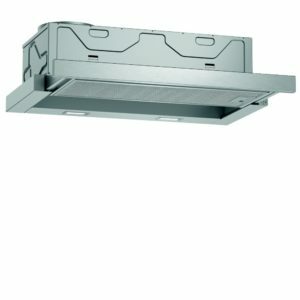 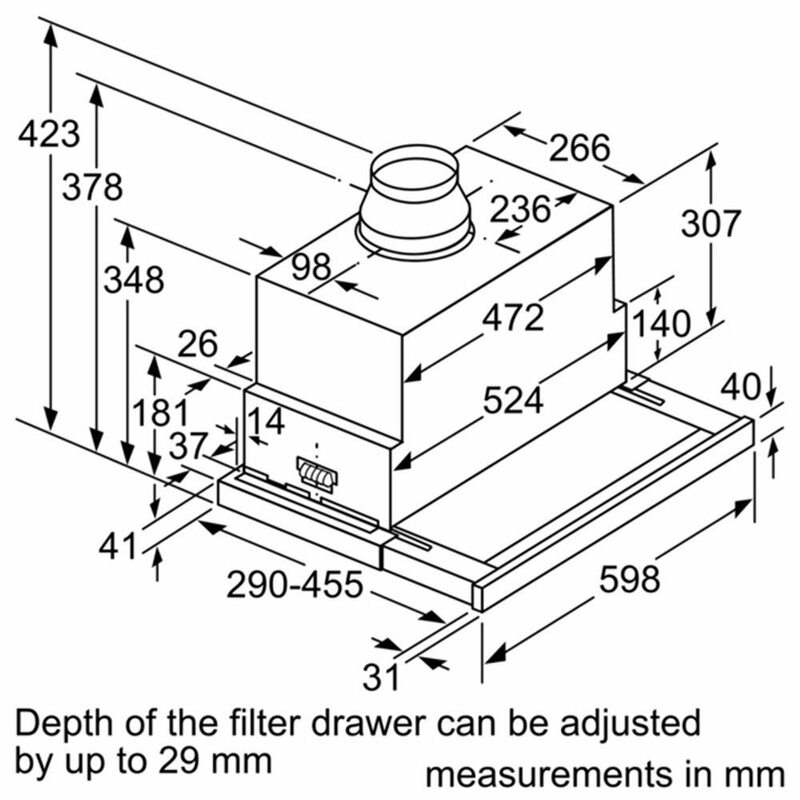 Designed to install either using ducting or a recirculation kit, there’s plenty of options for installation.